What Time of Day Do You Receive Your Post? Discussion in 'Off Topic Chat' started by Captain WH Rollins, 1 December 2017. In years long gone, here in the UK, first class post use to be delivered around 8.30am and second class post use to be delivered around 12.30pm. Over the years as the Post Office has undergone many changes, delivery times have also changed. We now have only one delivery per day, and the times can vary considerably. Late morning is not unusual, sometimes the post arrives mid and/or late afternoon, sometimes it arrives early evening. Yesterday evening, it was delivered at 8.15pm, a new record, the old record use to be 7.30pm. I would be very interested to know at what times, during the day, forum members receive their post. Our in the north of England varies from 10am to 2pm usually. Never seen it later than that. I'm in the north of France near Lille, ours arrives by a man on a bicycle around 12.30 lunchtime. 6 days a week. Items Required - Sleeping Pill. Items i can send - radiosonde, pneumatic cutter, demodulator, VoIP phone, passengers 5, fuel catalyst, bath towel, ATM, chocolate candies, cockpit glass, welder, album, Tesla lightning rod, landing lamp, copy machine, rope block, passengers 10, powerful radio trans, video wall, laser level, slide rule, cognac, fuel supply, jet engine, calculator, fuel additives, drill machine, communication antenna, additional radar, makeup, ergonomic chair, spare wire, server rack, passenger seat, oscillating beacon, flight catering, packaging machine, navigation module, transmitter, fuel hose, gyroscope, spare propeller, deicer, tv panels, wireless compass, dryer, blanket, altitude indicator, crucible, earplugs, fruit lollipop, boring machine, bed, e-reader. soon - vr headset, sleeping pill, bioreactor. Small town in northern Italy, man/woman on a scooter in daylight hours.... Helmet on, strap undone. On here and in the game since early 2012. Make friends with "Must,_dash" that's (Must comma underscore dash) just let me know that you're doing it. 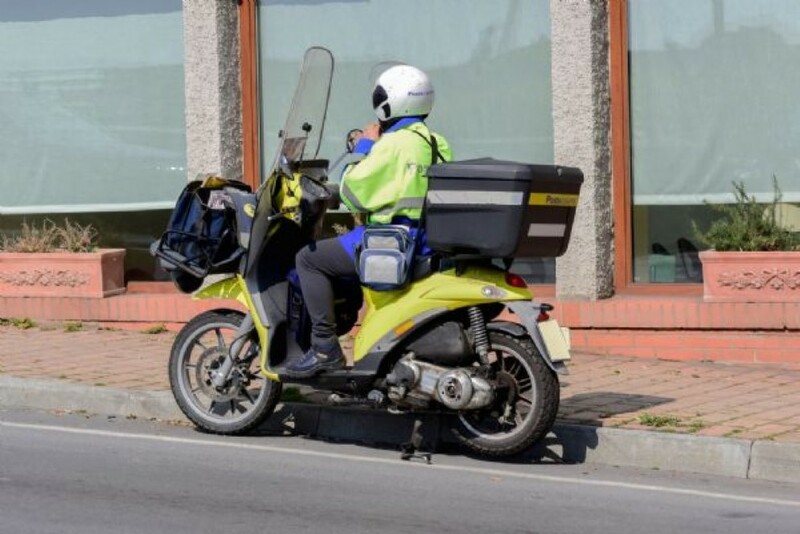 Na, passed a bloke on a 300cc scooter last week in a suit and tie, open helmet with phone tucked into the side of the helmet having a conversation and a cigarette in his left hand.. Yes, those's were the days - Scottish smoked salmon with scrambled eggs and the morning post. The post was not edible - just to be clear. Wasted Eagle, Agent_L and Blue Jay like this. It is a wonderful image and quite traditional I would image, to have your post delivered by the man on a bicycle. But, not here in London, it is far too dangerous. Here in France, its bicycle, moped for the houses slightly further apart, and van for isolated properties. Business post is delivered separately by van. An awful lot of companies use post boxes in the local post office. I lived in Lille for a couple of years and even there it was man or woman on a bicycle. The Royal Mail postal delivery times continue to fluctuate, all the more reason to migrate across to email, far more reliable and more instant. However, a certain something will be lost if and when this happens. The days post has just arrived, unusually early, but most welcomed. I live in rather large city so the distances are very short, it's the weight that's slows the mailman down. Everyone has his assigned area, first thing in the morning he picks up the mail for it and goes on his route. I don't think it's possible to give a precise time he reaches my house, it depends on how much mail he had for people earlier on his route. Most likely he shows up at the office several times because I don't think it would be humanly possible to pick up everything in one go. I imagine that when there is particular amassment, the route gets changed to optimize delivery. Usually, he's around 10, but as early as 9 and as late as 13 happens. The equivalent of second class would be one without "priority" racket, it gets delivered with the next day mail. The post arrived unusally early this morning at 9.30am, normally it is delivered any time between late morning and early and/or mid evening, unable to call it first class post or even second class post, but just post. Perhaps I should be grateful it is delivered at all. Just gone 5pm and the post has just been delivered for today, the old days were better, when you knew first class post was around 8.30am (ish) and second class post was around 12.30pm (ish). I had to have a chat with the postman on Saturday morning, we have been getting other neighbours post, and also post from further afield. The service is not what it use it be. It is no longer first and second class post, but last class post or wrong post. No post today, just a great deal of junk mail, to be recycled. Brings in good money for the Postal Service, no doubt. No post today, just more junk mail to be recycled - shame I have no hamster.